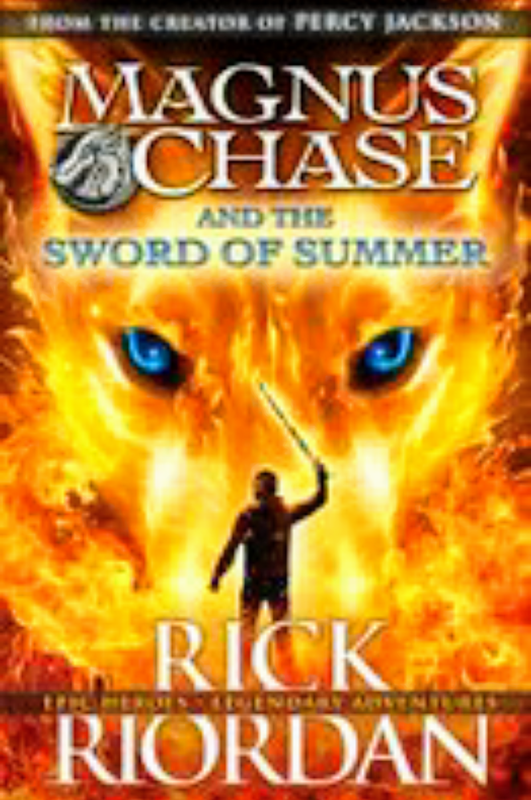 Magnus Chase and The Sword of Summer by Rick Riordan. Magnus Chase is living rough on the streets of Boston. Ever since his Mom suddenly died in their apartment,’for unexplained reasons. '(As in, his Mom was murdered by bloodthirsty firery wolves who attacked his apparent, and his Mom sacrificed herself to give him a chance to escape). Now his life Magnus’ life consists of, where will I find my next meal?and, where will be a warmest place for me to sleep tonight? Well those are the least of his worries when ‘The Lord of Fire Giant’s ,’ attacks him and easily kills him…The End?? ?